Performer: Charlie Christian. Performer: Benny Goodman. Performer: Cootie Williams. Performer: Georgie Auld. Performer: Artie Bernstein. Performer: Harry Jaeger. Composer: Benny Goodman. Performer: The Benny Goodman Sextet. Performer: Count Basie. Performer: Freddie Green. Performer: Lester Young. Performer: Charlie Christian. Performer: Benny Goodman. Performer: Jo Jones. Performer: Buck Clayton. Performer: Walter Page. Composer: Ted Fio Rito. The Genius of the Electric Guitar (Columbia Box Set). Performer: Count Basie. Performer: Charlie Christian. Performer: Benny Goodman. Performer: Cootie Williams. Performer: Georgie Auld. Performer: Artie Bernstein. Performer: Harry Jaeger. Performer: Count Basie. Performer: Charlie Christian. Performer: Benny Goodman. Performer: Cootie Williams. Composer: Spencer Williams. Performer: Georgie Auld. Performer: Artie Bernstein. Performer: Jo Jones. Performer: Edmund Hall. Performer: Charlie Christian. Performer: Meade Lux Lewis. Performer: Israel Crosby. Performer: Nick Fatool. Performer: Fletcher Henderson. Performer: Charlie Christian. Performer: Benny Goodman. Performer: Artie Bernstein. Performer: Lionel Hampton. Performer: Nick Fatool. Performer: Fletcher Henderson. Lyricist: Sid Robin. Performer: Charlie Christian. Performer: Benny Goodman. Composer: Benny Goodman. Performer: Artie Bernstein. Performer: Lionel Hampton. Performer: Charlie Christian. Performer: Benny Goodman and His Boys. Composer: Andy Razaf. Performer: Johnny Guarneri. Performer: Charlie Christian. Performer: Benny Goodman. Composer: Benny Goodman. Performer: Cootie Williams. Performer: Dave Tough. Performer: Georgie Auld & His Orchestra. Performer: Artie Bernstein. Performer: Jerry Jerome. Performer: Frankie Hines. Performer: Charlie Christian. Performer: Oscar Pettiford. 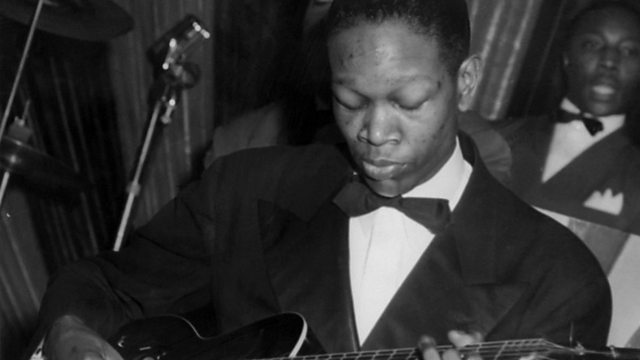 Charlie Christian, The First Master of the Electric Guitar. Performer: Ken Kersey. Performer: Charlie Christian. Performer: Benny Goodman. Performer: Cootie Williams. Performer: Georgie Auld. Performer: Artie Bernstein. Performer: Harry Jaeger.